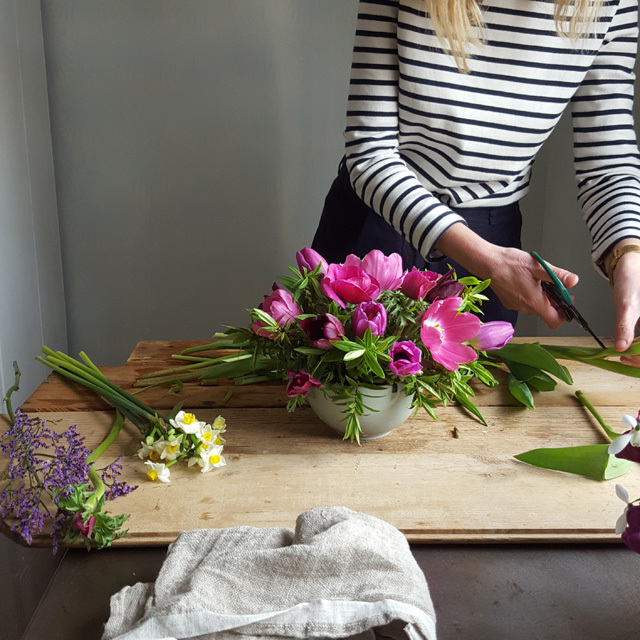 Earlier in the week I wrote on the blog for the first time in 19 months and now I’m back with this spring tutorial with Emma from A Quiet Style. If you have had time to read the previous blog I’m sure you will understand how pleased I was to meet up with Emma, catch up on life and of course get to play with some lovely spring flowers. 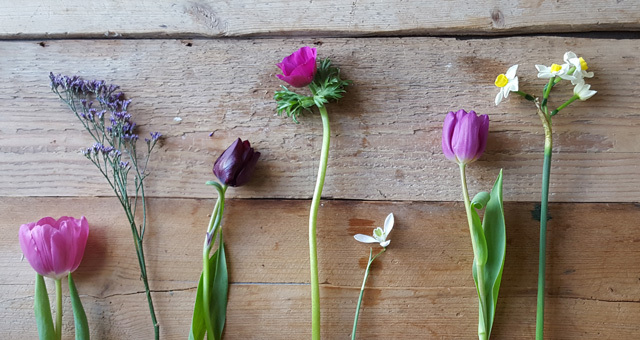 I love the spring, with all that new life bursting out but I also love that you can buy spring flowers for just a couple of pounds. In my mind, at least, that means you have no excuse but to bring an abundance of flowers into your home! 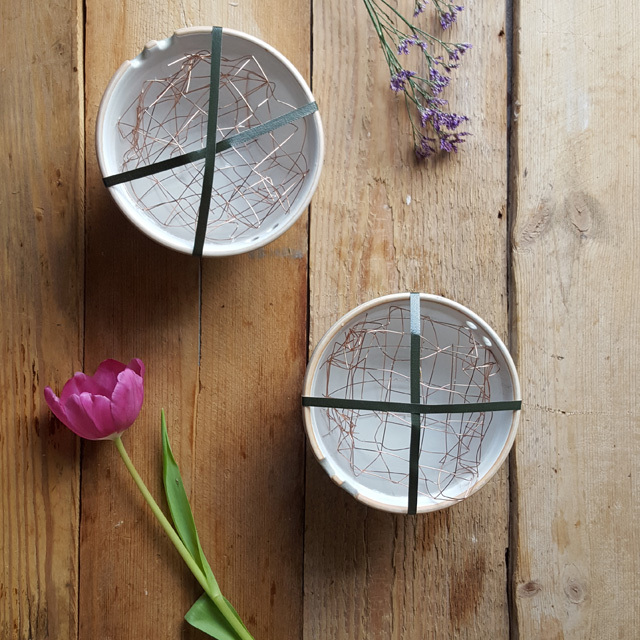 With this tutorial I wanted to show that you could turn any bowl or container however wide into something suitable for flowers. This can be done simply with some chicken wire that you can use again and again. Time to ask you for some help! 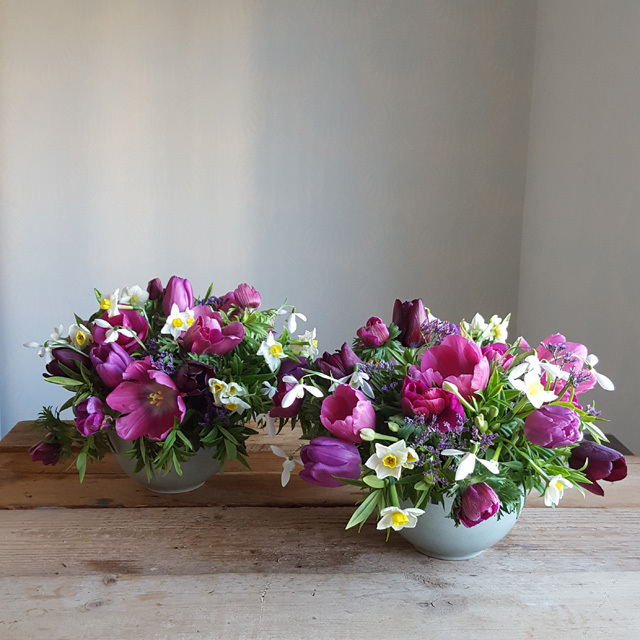 I’m planning to do some workshops in and around Sussex and Kent this year and would love your help with the following. I would love to learn; What you would like to learn, what time of the day would suit you and how much you would be happy to pay. It’s a really short survey but I would learn such a lot. If you would like to be kept informed of upcoming workshop dates please complete the survey or drop me an email. I’m happy to help and complete the survey! P.S I haven’t quite forgiven Emma for putting up photos of me on her blog! « Oh what a time!